As some of you may already know, Jeff, Bailey and I moved last Summer. Our new home comes with some beautiful property, including a field and some woods in the back. I love getting to photograph here and it's even better when you get to capture photos of people like Catherine and Patrick. Whenever I see these two, laughter is imminent. They're both so easy going and fun to be around. And this time they brought Finley, their puppy, to join us for their engagement session. Just look at that adorable puppy face! I think he had a great time too, he did escape the fence to romp around in the field with us! I'm looking forward to seeing Catherine and Patrick's smiling faces more this week! You'll want to stay tuned for those photos! I have to admit that I've been behind in showing off all of the great engagement sessions that I've been able to capture over the past couple of months and I want to fix that. 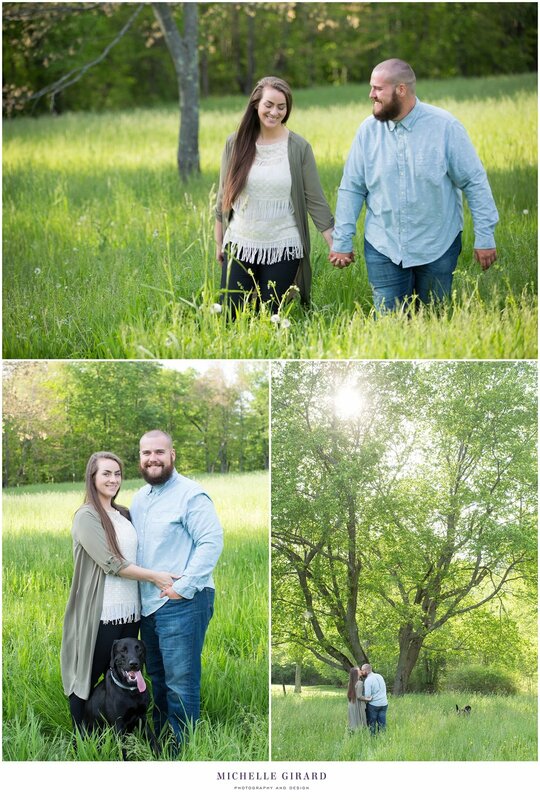 I absolutely love getting to have an engagement session with a couple. Not only do we get to capture some incredible images together.. photographs that can speak to your daily lives, hint at an inside joke, incorporate a favorite hobby, show off where you had your first date, have a casual feel, or give you an excuse to get all dolled up with a new dress or suit! We also get to know each other. We work past some of the photography jitters, most of us aren't used to being infant of a camera.. I know that I'm not! Pick a place, a garden, the beach, your first home together, they city you met in, a cafe.. wherever! Then spend some time wandering around, feeling out what lets you feel the most natural for photos. 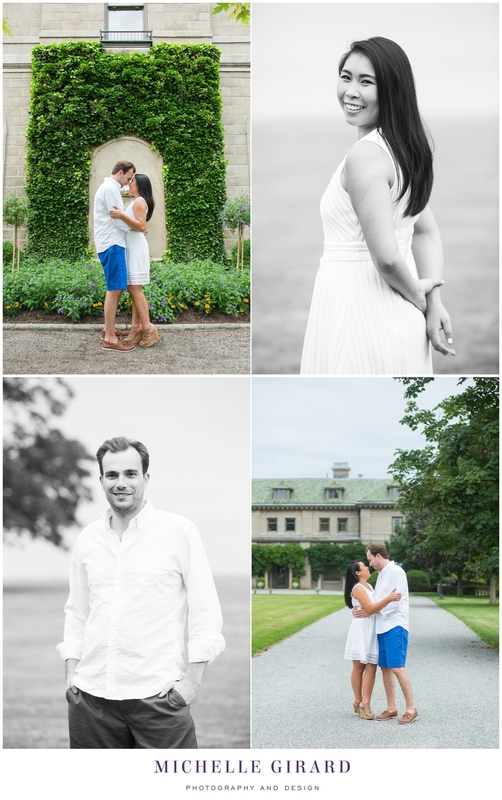 This past Sunday I got to photography Julia and Robert's engagement session around the Eolia Mansion at Harkness Park in Waterford, Connecticut. And it was one of those fun evenings.. with the laughing and the stories. 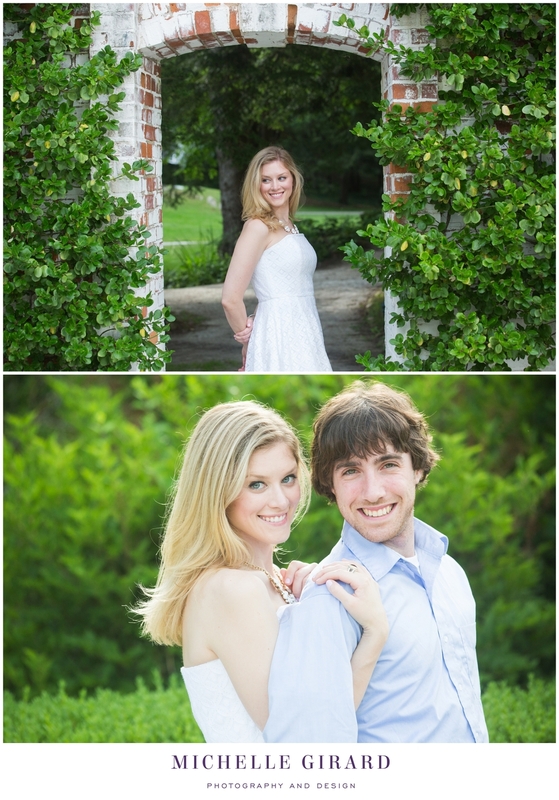 It has me so excited to be a part of their upcoming wedding later this month! As a child, Caitlin fell in love with the work of Edith Wharton and with The Mount, Edith Wharton's Home in Lenox, Massachusetts. Now, years later, she and David are celebrating their love and upcoming marriage with an engagement session at a place that has meant so much to Cait for years. And if you've ever been to the Mount, you can see why. With modern artwork along the roads leading up to a grand estate and gardens that could be from a fairytale, this place feels magical. And that feeling, that sense of magic, is so much stronger when you're there with two people in love. These two light up with each other and it was so much fun to capture some of the smiles, the laughs, the kisses and the quieter moments between them. And speaking of fairytales.. it has to be mentioned.. how perfect is the pink gown that Cait chose with David's navy suit? I don't know many people who could pick that out, see it's potential, and completely rock it at a shoot! We're just missing a glass slipper or an enchanted rose! For a lot of people, most people really, having your photos taken before the wedding planning and wedding photography process usually means a selfie or a 'stand and cheese' group picture. 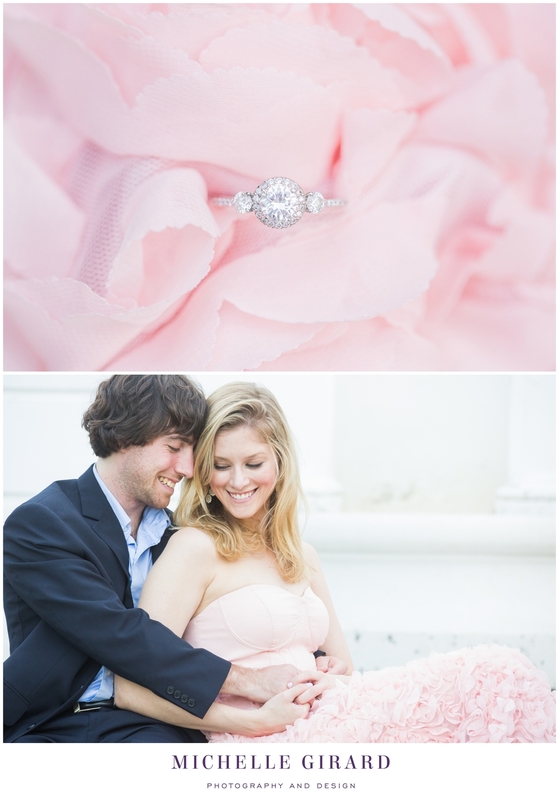 Engagement sessions are a whole other kind of experience and it can be intimidating. The photos are really meant to catch your personalities and how in love you are.. a bit more intimate than your average selfie. There may have been some nerves in the equation at the start of this session but you wouldn't know; Kat and Matt really rocked it! Well.. as long as you don't ask Kat for a 'serious face'! They were so comfortable together and ready to laugh and play around. There's so much love between these two and it's a lot of fun to be around them. We started the session at the mansion in Harkness Memorial State Park in Waterford, CT; walking around the gorgeous gardens and checking out the outside of the mansion. It's incredible to think that it was a family home once! Then, after an outfit change, we spent some time right before sunset on a rocky portion of the beach. 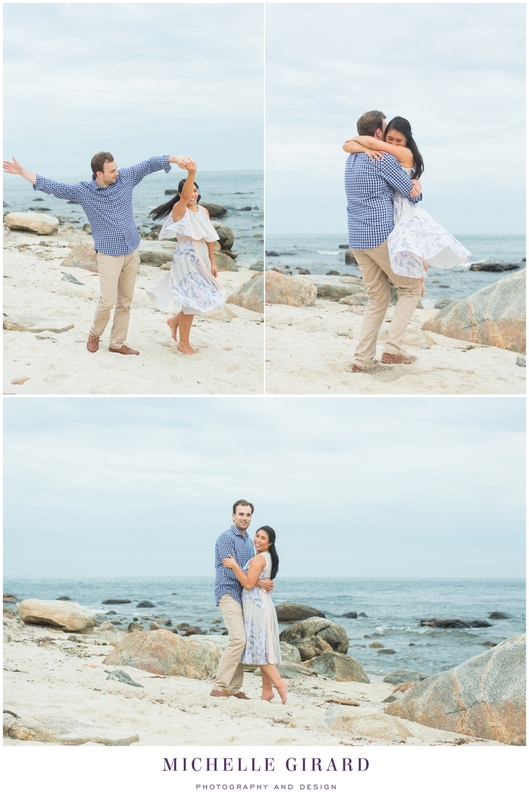 There was some more laughing, hugging, a bubbly Champagne toast, and even some twirling.. I'm still thinking about the beautiful, flowy dress that Kat had on then. Perfect twirling dress! It was a really great evenign and I hope you enjoy seeing some of the photos from it here!